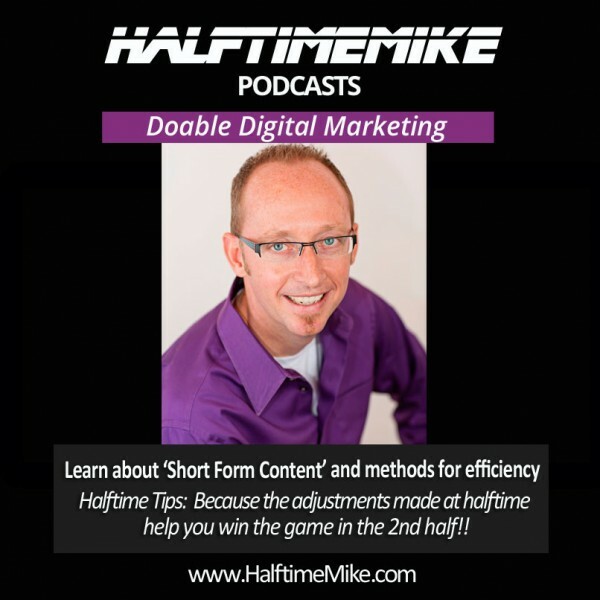 Doable Digital Marketing is my latest Halftime Mike Podcast episode. 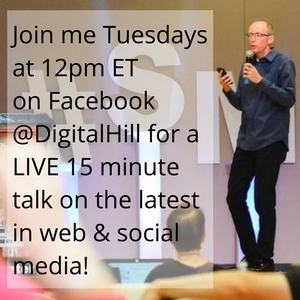 Are you ever overwhelmed with your digital “to do” list? So much content to consume and so many posts to write on your site and social media that you are getting lost in the whirlwind and not being productive? It’s a fact, content continues to grow! Fortunately, short form content is a growing movement, both visually, with video, and with content. This provides hope and a solution! Let’s dive in and learn more! We need to avoid the “complete perfection” trap. We need to go doable! Jay Baer quote: “People are on the Internet for 1 of 2 reasons: 1. To find a solution to a problem, or 2. to be entertained.” That’s it! So your connect must solve a problem or entertain with a purpose, or else STOP IT! Why go doable? You are overwhelmed, and most importantly your audience is overwhelmed with the blizzard of noise online, in their inbox, and in every social media news feed they participate in. Doable, then, is using short form content. Content that is in smaller snippets that are “doable” to digest. NO MORE 30 point lists of the “30 best tips for ….” and not even any more “Top 10 of ….” STOP IT! Short form content is: Visual and Digestible. Not more than 3-4 points. Instagram and Pinterest are leading the charge. 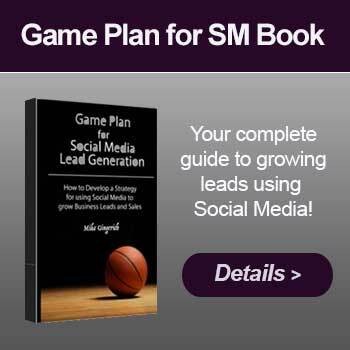 Growing social media networks and those having success on Facebook and Google+ are using short form content. 15 second Instagram videos are “doable”, as are 6 second Vine video videos and images with a simple point or two. 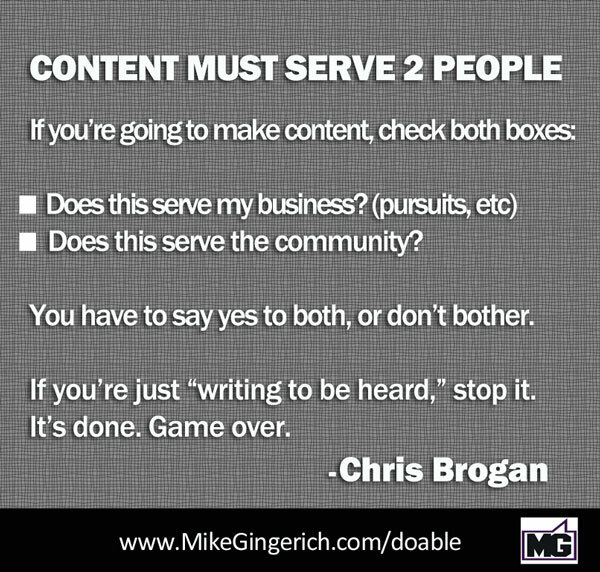 The same needs to apply to your blog content. STOP spending enormous amounts of time reviewing, editing, and creating 15 point masterpieces that are viewed once to point 5 and then glazed over. Break large posts down into 3-4 posts that are “manageable to digest” and “doable” for you. It’s a Win-Win scenario. 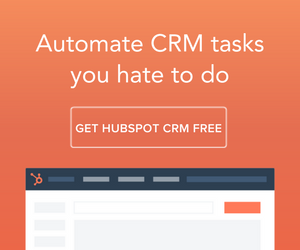 You have less stress and users can actually consume your content. The bonus is that you actually have more content to share by breaking that 10 point list you thought was great into 3 posts with 3, 3, and 4 main points! Then take that content and create a image that is at least 600 x 600 pixels, preferably 1200 x 1200. Why? 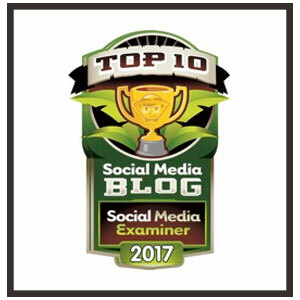 600 x 600 display works well for your blog and then the larger image also works well on the majority of the social networks, so you’ve created a easy way to share it in multiple places! 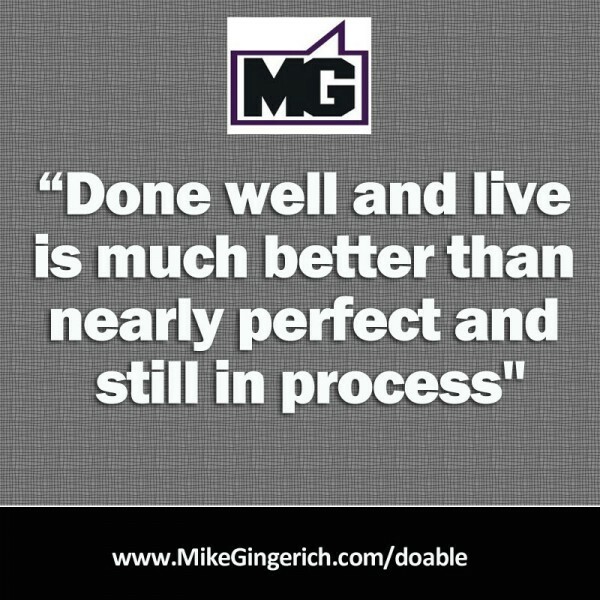 (Efficiencies are a cornerstone of Doable!). Facebook will show your full image in the news feed when your blog post link is shared (make it your featured image in WordPress). 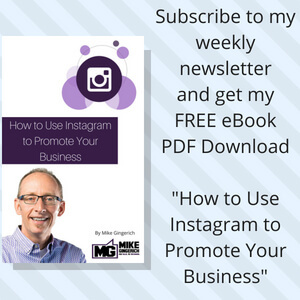 The square fits Instagram and this size is large enough to display well on Pinterest and Google+. Keep your Content focus simple: It should either ATTRACT, CAPTURE, or SELL, and these are not equal! Attraction (Solving Problems or Entertaining) should be the bulk of your content, like 50%. 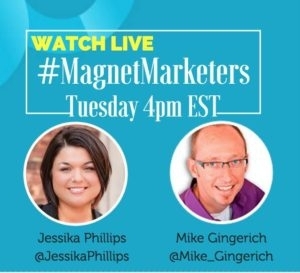 Capture content is lead capture focused; moving fans and followers to become known leads via a name and email address. This should be 30% of your content focus. Offers to buy, or “sell content”, should make up 20% of your content mix. Doing too much sell turns the social consumer off. They want to connect and if you connect first, then through that trust they will be ready to buy. 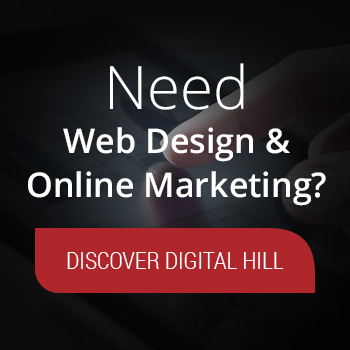 You’ll see this in bites like “More Leads, More Leverage” and “Doable Digital” – The aim is to find solutions for overwhelm, to find quick hacks and methods to do things quickly and yet maximize value. I’ll be practicing what I’m preaching, aiming to keep things “bite size” and leveraging visual assets. Like what you see? Want even more? Consider joining my Member Group, “Doable Digital All Stars“. 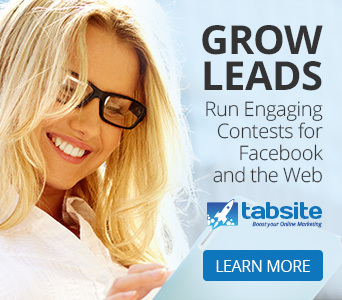 This is soon launching and will be a private member community where we together improve our doable digital marketing. It will include a private Facebook Group, monthly meetings, expert sessions, and “hot-seat” opportunities where members and myself give input and counsel to fellow members.